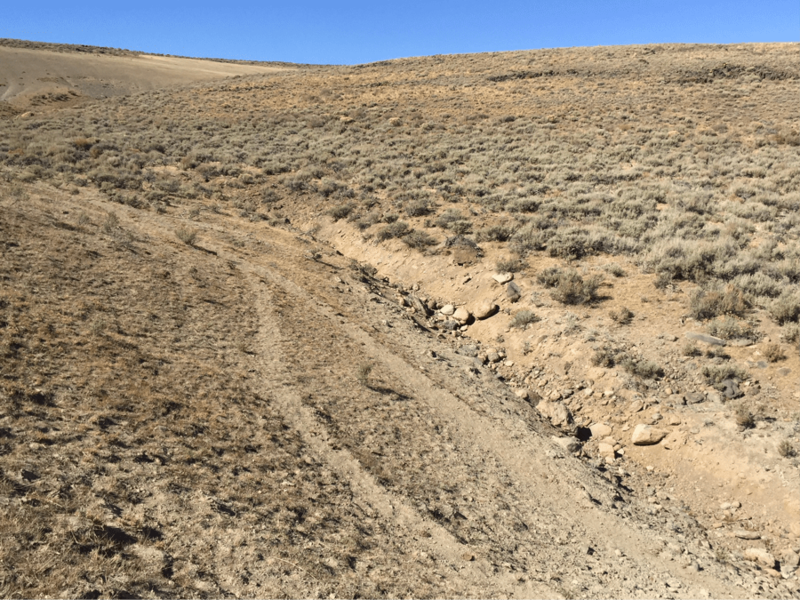 Another western headwater tributary drainage to Trout Creek in the Trout Creek Mountain allotment. 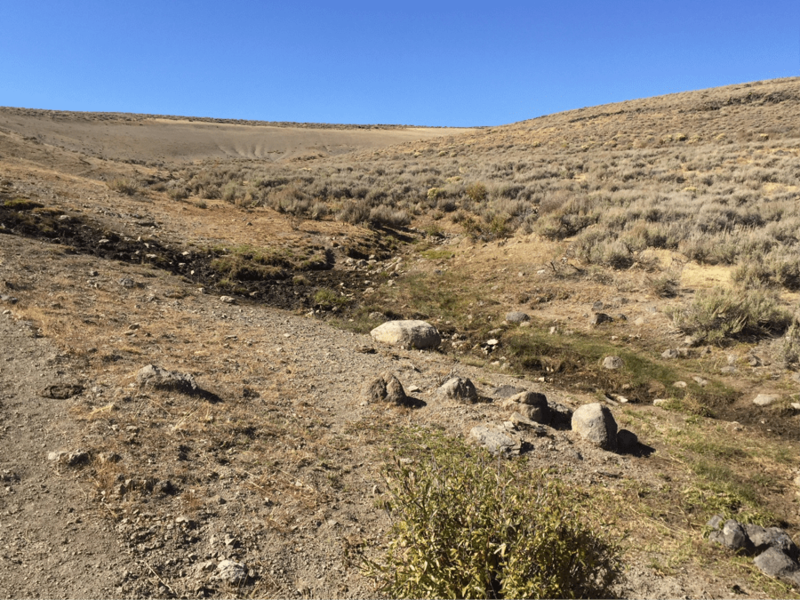 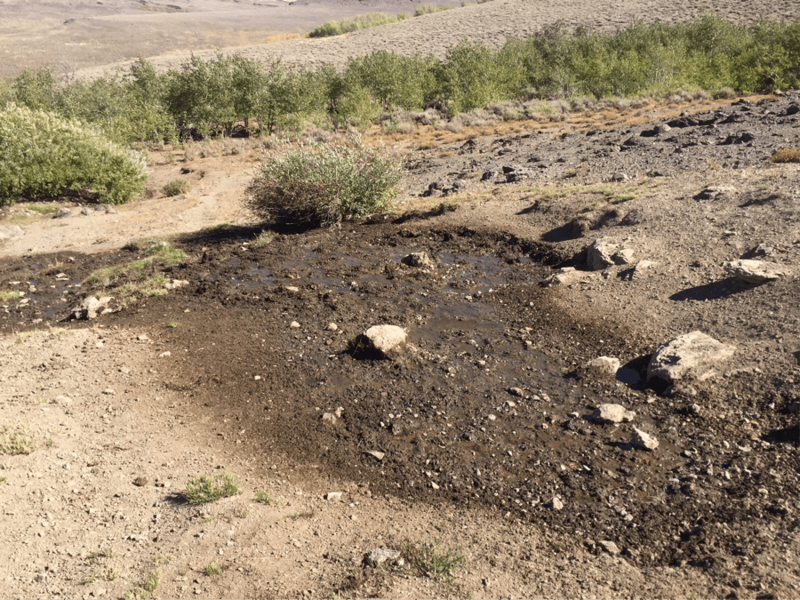 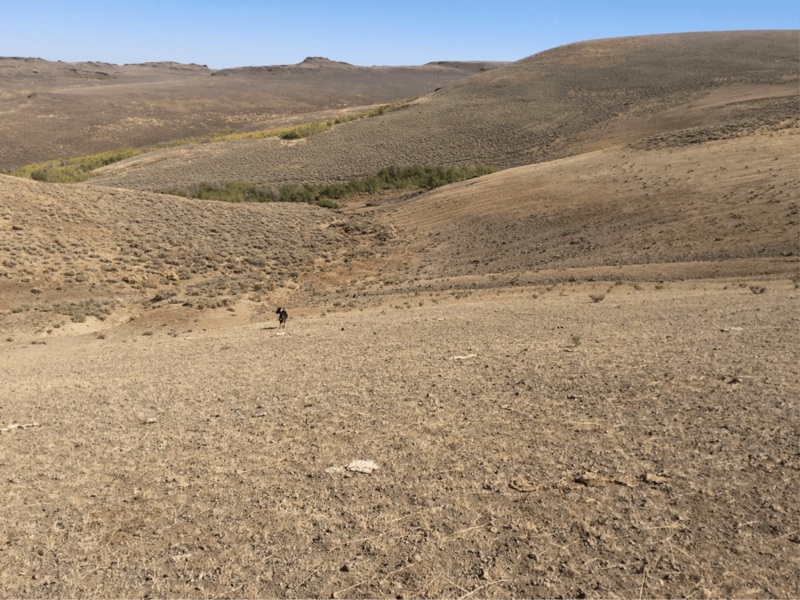 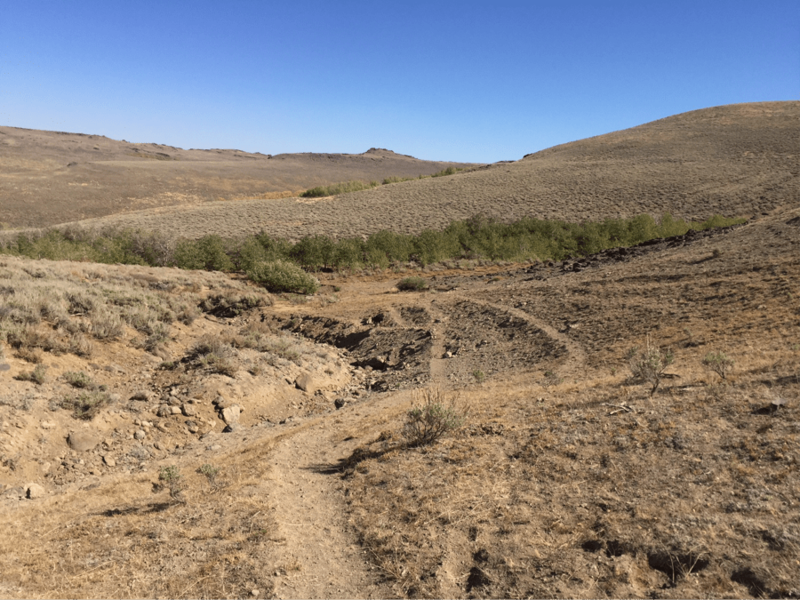 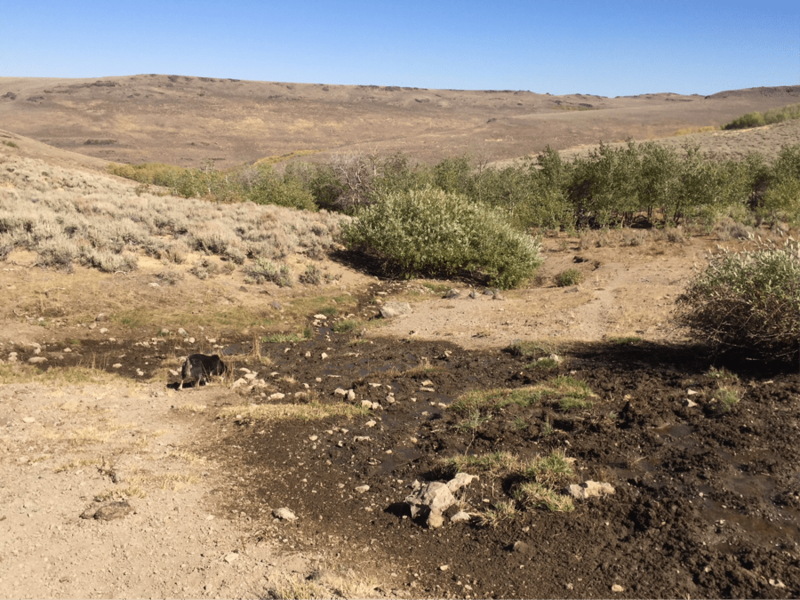 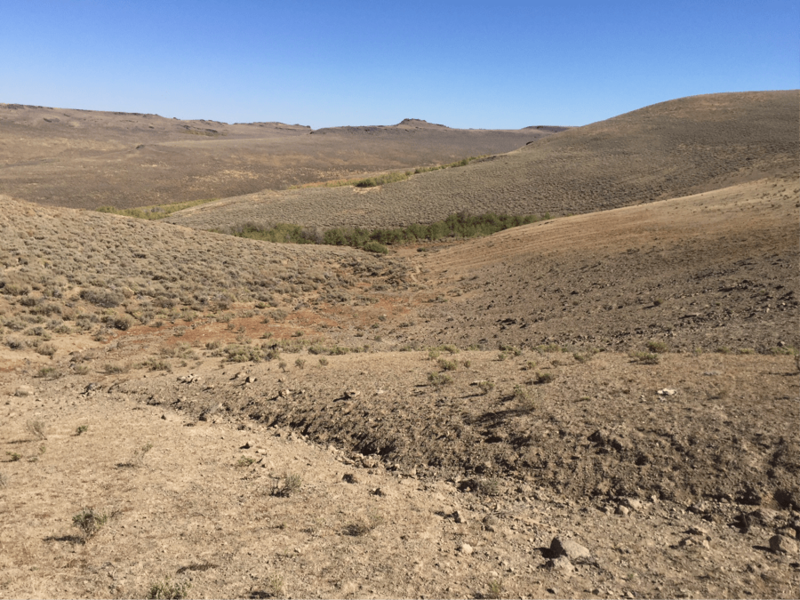 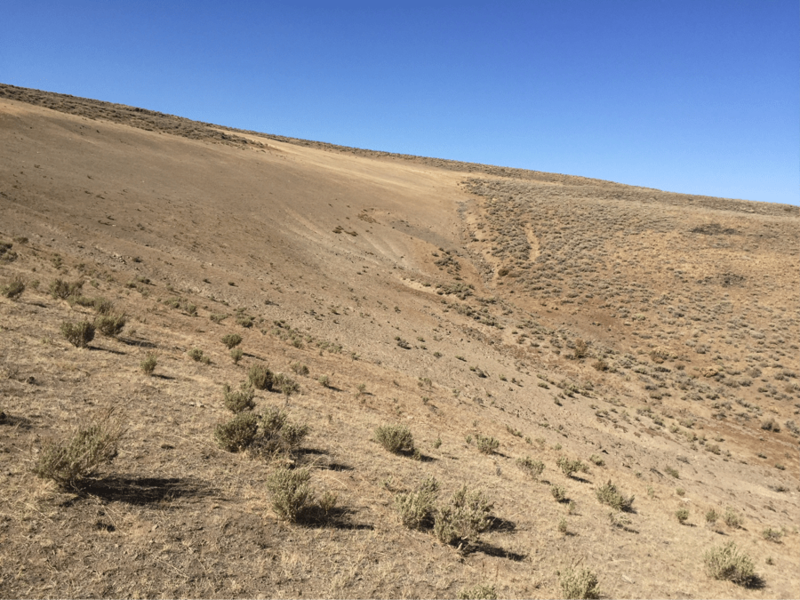 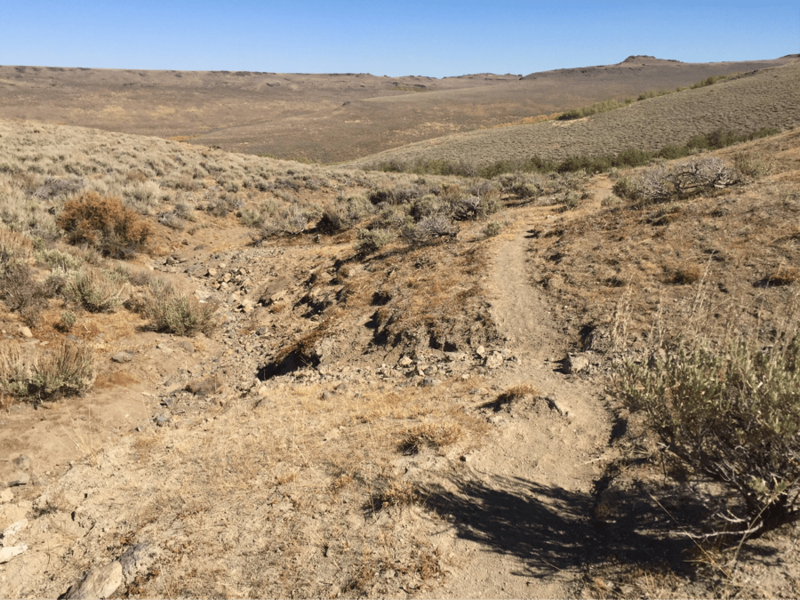 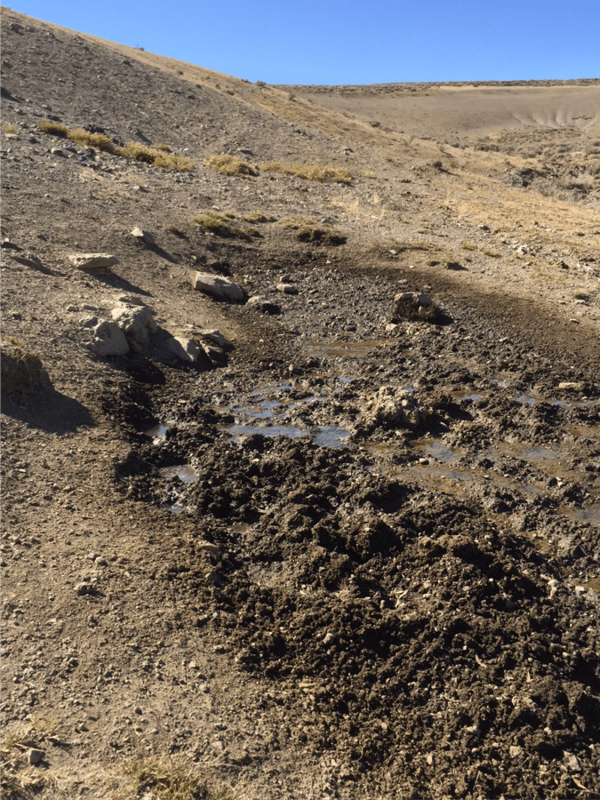 This level of cattle use and permanent, irreversible damage the Burns BLM Andrews-Steens manager turns a blind eye to, and covers up with false Rangeland Health Assessments is simply off the charts. 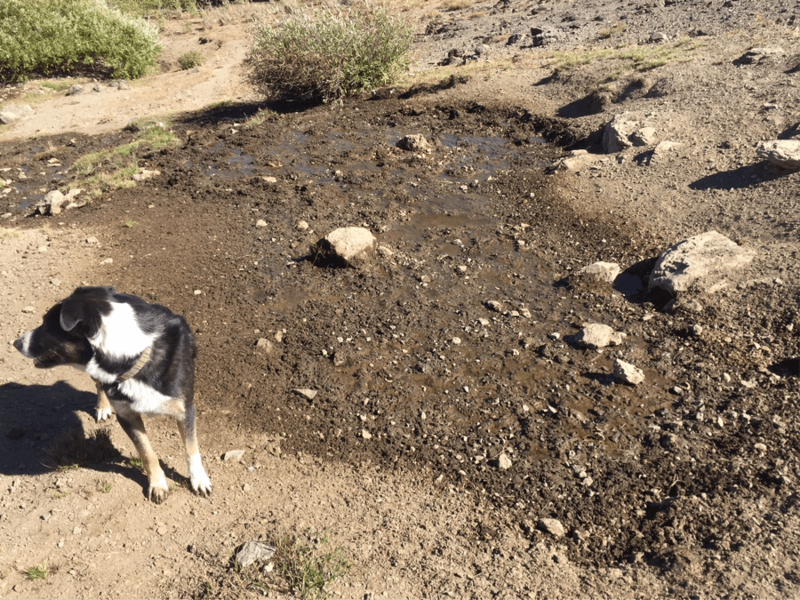 Water reeks of livestock waste. 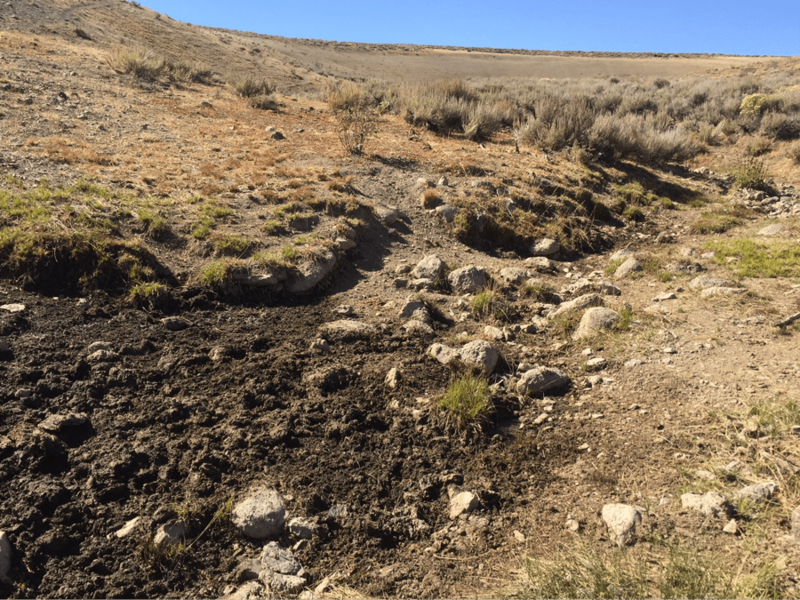 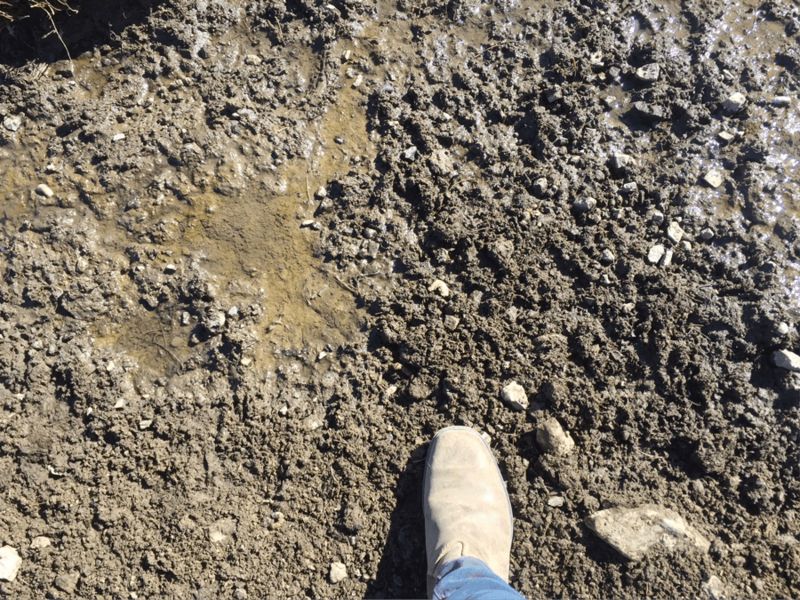 Devastating cattle damage to springs and seeps is permanently killing the potential of the sites to hold and retain moisture, and support hydric/mesic vegetation and surface flows. 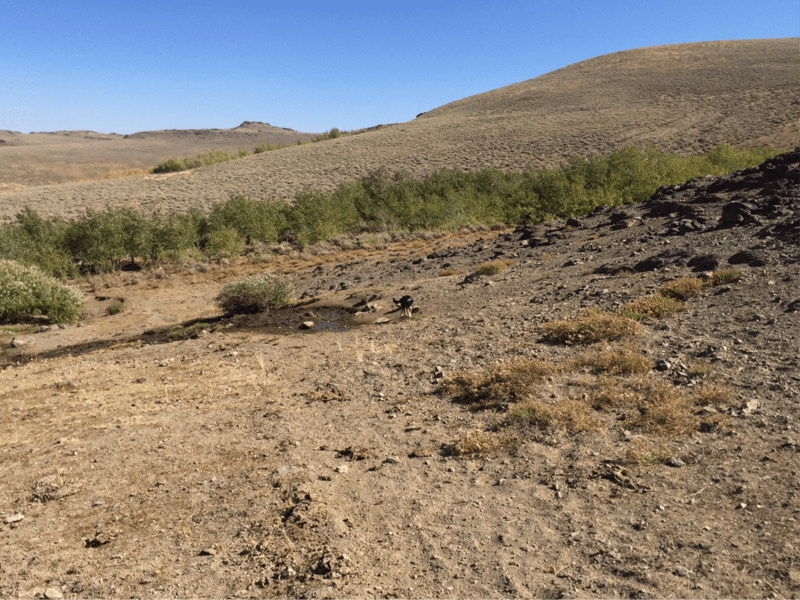 This greatly amplifies the adverse effects of climate change. 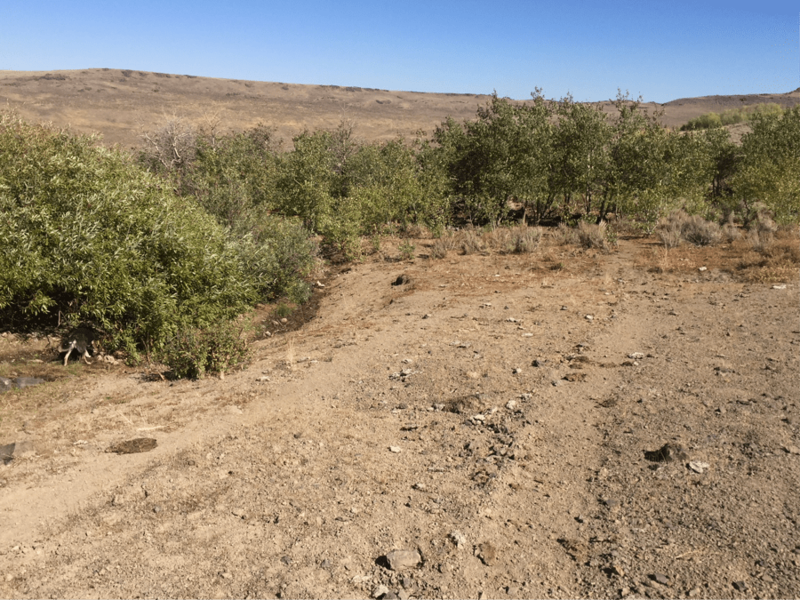 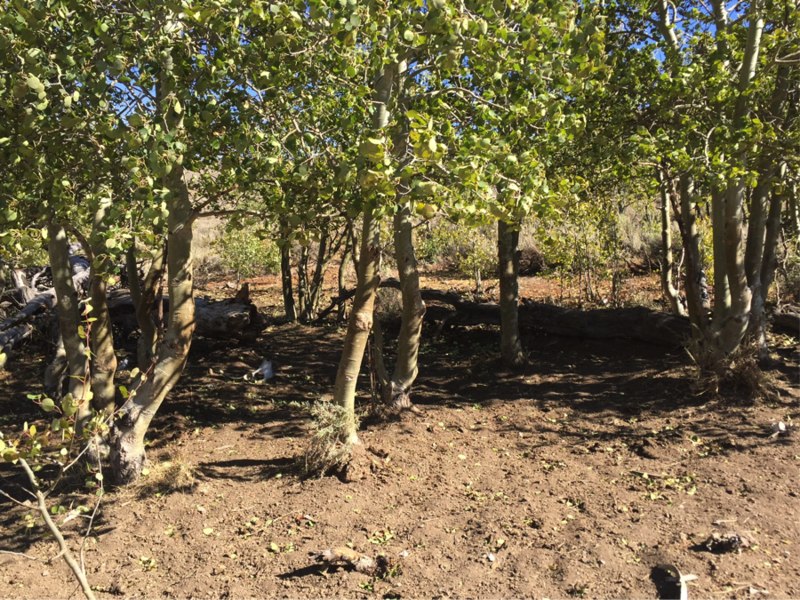 This site is inside a Wilderness Study Area. 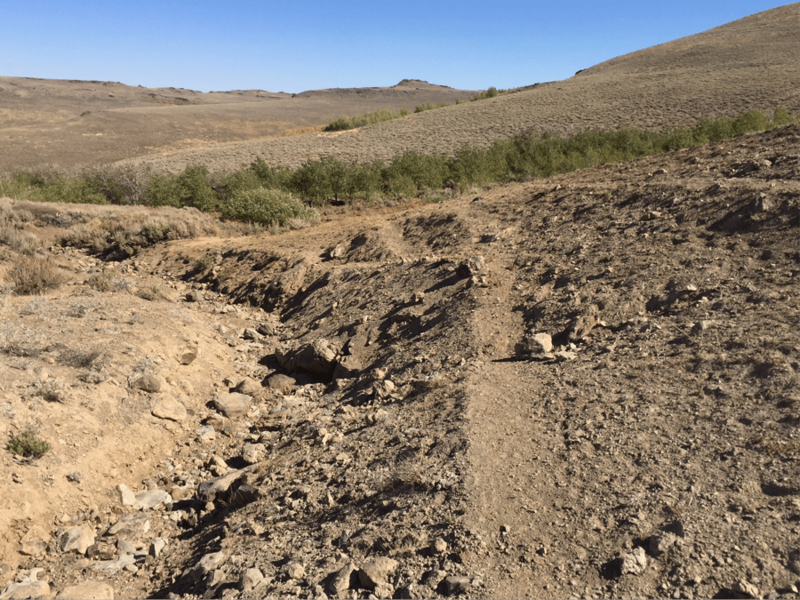 Almost completely desiccated drainage being converted by chronic severe cattle use into a gully.